We are the leading manufacturer, exporter, trader and importer of the Bell Furnaces. We are engaged in manufacturing a wide range of Electrical Heated Bell Furnace. We use modern technologies and machineries for the process of manufacturing these products. Our products are significantly featured with well-built state and better performance. These products are used in various industries for varied purposes. Available in various specifications these Hearth furnace can also be custom made as per the clients requirements. 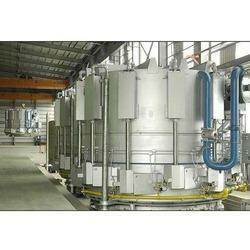 We are engaged in manufacturing a wide range of Gas Fried Bell Furnace. We use modern technologies and machineries for the process of manufacturing these products. Our products are significantly featured with well-built state and better performance. These products are used in various industries for varied purposes. Available in various specifications these Hearth furnace can also be custom made as per the clients requirements. We are engaged in manufacturing a wide range of Bell Furnaces. We use modern technologies and machineries for the process of manufacturing these products. Our products are significantly featured with well-built state and better performance. These products are used in various industries for varied purposes. 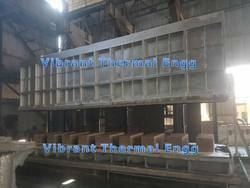 Available in various specifications these Hearth furnace can also be custom made as per the clients requirements.